To build a Culture of Health, we must first ensure everyone has the basics to be healthy. 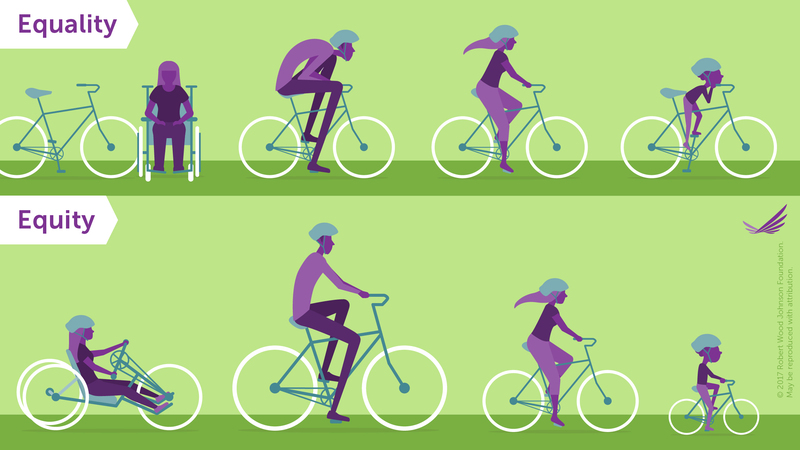 And when it comes to expanding opportunities for health, thinking the same approach will work universally is like expecting everyone to be able to ride the same bike. Download and share this image to #PromoteHealthEquity, and help create a shared vision of better health for all. Download and share this image to #PromoteHealthEquity, which means a fair and just opportunity for all. This RWJF brief defines health equity and identifies crucial elements to guide effective action to reduce disparities in health status. This report is the result a five-year grant to examine solutions to promote health equity.